Awesome! nice to see some more complete genesis stuff being acquired. You got the skull tattoo unopened as well. How much did it cost you? Complete genny games in good condition are going for a bit more these days. Yeah it ran me quite a bit $98 but I'll probably never see a complete one like this in the wild. Was one of my childhood favorites so I don't mind dropping this much on it.. Remember playing this on Sega Channel with my cousin. Awesome! Yea for some games, money is no object. That's how it was for me and Hyper Duel on saturn. It was a game I wanted no matter what the cost. Was it BIN? or Auction? It can be empowering heading into an auction where you have 1 goal in mind: Take no prisoners. Knowing you will swoop in with bags of money to win the auction with a certainty. I acquired a Saturn Game Basic kit OHHH YEA!!!! I just scored Quake for the Saturn. This game was a lot harder to track down complete than I had originally thought. I FINALLY got Hellfire for the Genesis. Includes case, insert, and cart (missing manual), but I got it for $27 after shipping. Everything is in great condition. I can fill in the manual seperately over time. I wouldn't even be adverse to printing one out. Especially since often times Genesis manuals are black and white anyway. What is your favorite English speaking retailer of Saturn imports? I've been looking around at Nin-Nin-Game, Solaris Japan, Play-Asia, NCSX and the ever ubiquitous eBay. Amazon sells some imports as well, though most listings neglect to inform about the game's specific condition. I wanted to comment on how crazy the market is for Genesis games right now, specifically complete games. 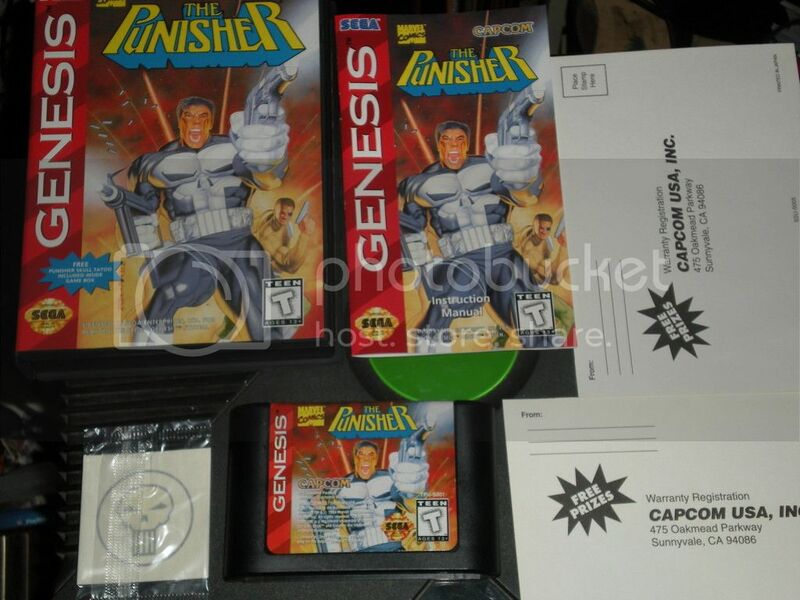 I was looking up copies of a few Genesis shooters and my jaw dropped. Vapor Trail? Anywhere from $70-100. Truxton? You're lucky if you score a complete copy for less than $75. Gunstar Heroes? A recent auction sold for an astounding $112.50. It's outrageous and really deters me from purchasing Genesis games. I feel as though dropping big bills on these games simply contributes to the over inflation. Perhaps I will settle for boxed, non-complete copies of these games and print out manuals if I so choose. That being said, I did score a nice, complete Gauntlet IV on eBay for $29. I really wanted to keep that one under the $30 mark, though I barely made that happen. I bought "Romance of the Three Kingdoms IV: Wall of Fire" for Saturn, for around $26 complete.